Just bought this product today and I love it. 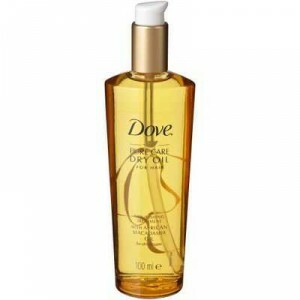 It immediately made my hair feel nourished and smoothed out the frizziness. I can’t wait to keep using it to see how it goes and I love the fragrance. My hair is damaged from years of colouring this oil makes it look slick not fizzy or damaged I use it in dried hair most days. This is a lovely product that nourishes and pampers hair, my locks feel silky soft after using and I happily recommend to others. How would you rate Dove Nourish Oil Care Treatment?